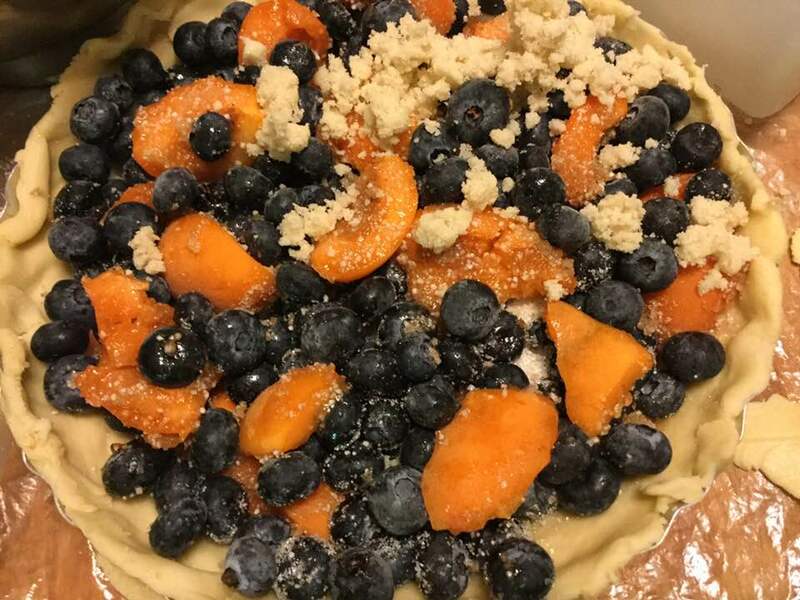 This is an easy pie to create. Slice and dump together the filling, crumb topping made in mixer bowl you used for bottom crust. You can store any leftover crumb mixture in a sealed container in the fridge; it keeps a few weeks. This GF crumb topping is perfect for most any fruit pie. 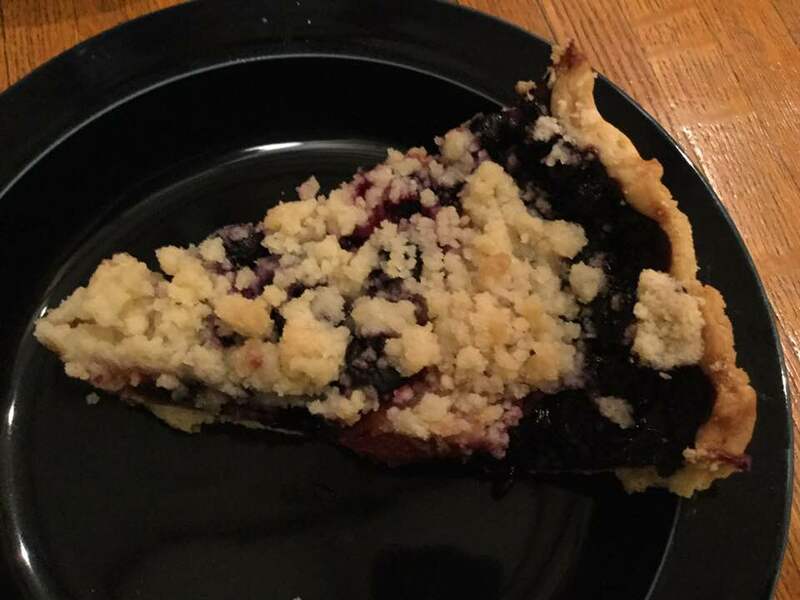 If you prefer a solid crust just double the crust part and top your pie with it. Be sure to cut some slits for steam escape! I think a lattice crust would be fantastic although more time consuming to construct. Apricots don’t need peeling; just halve and remove the pits. So, bake and enjoy summer in a pie in just a few minutes of work. Don’t eat it piping hot; it should be cooled to room temperature or even chilled. You could certainly serve this with vanilla ice cream. And this pie also works perfectly with fresh nectarines or peaches. I have to confess I love to make it with nectarines as no peeling. This apricot version is really flavorful so if you ever get about a quart of apricots this is a great recipe for a pie. Sprinkle the top of the pie with crumb mix; use as much as you like (all is fine!). I generally like about a heaping cup of the mixture. But this time my crumbs were bigger so I used the whole batch. Up to your personal taste… It sinks partially into the fruit mixture and adds lots of sweetness and eye appeal. 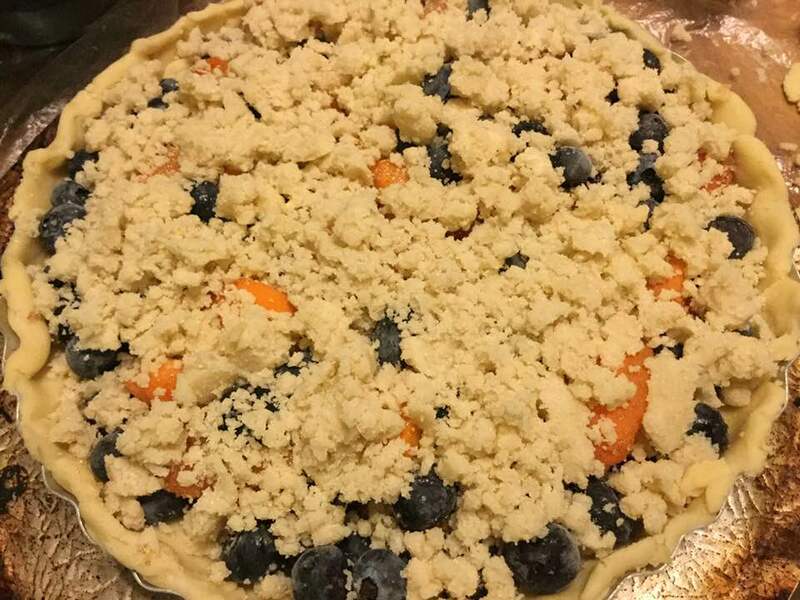 Bake in a preheated 400 degree oven for 45-55 minutes until bubbly and the crumb crust is light brown. You can put a pie juice catcher under the pie as it might bubble over. This protects the oven bottom from a mess. I put a piece of aluminum foil on top for the last ten minutes. Cool at least 2 to 4 hours before serving at room temperature. I think it is best served the same day you make it, or no more then 10 hours after baking for optimal flavor. The crumbs will get soggy if too much time passes. 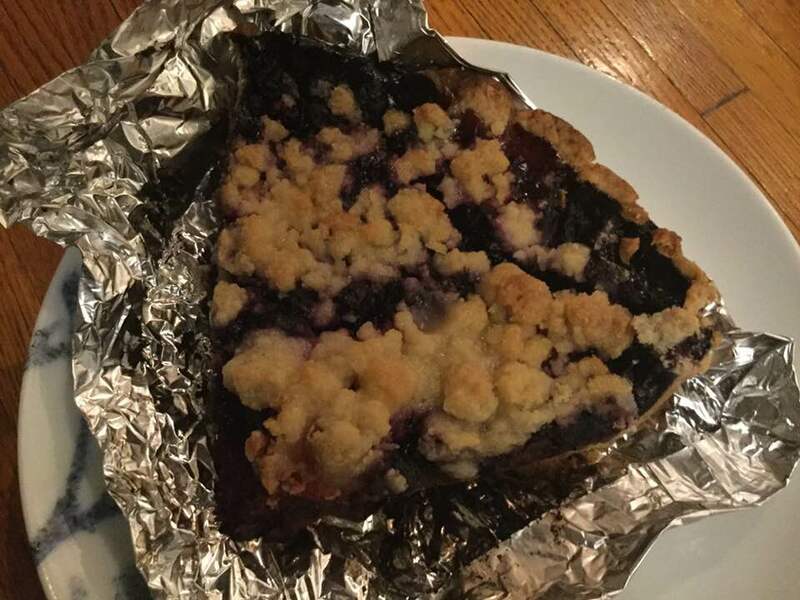 A way to remedy this is to grill your slices; see my recent posting on fire roasted pie!